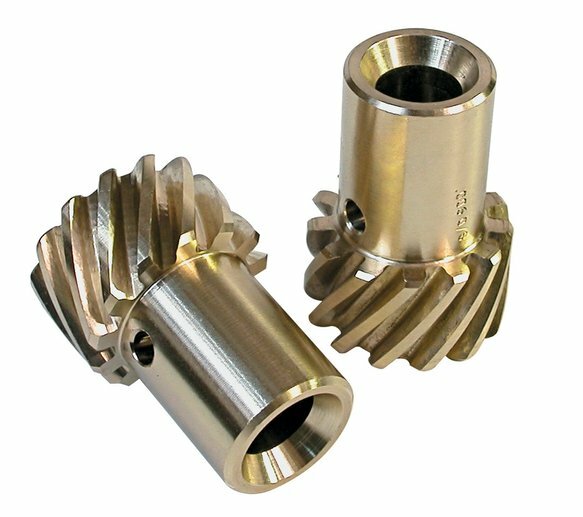 MSD 8472 Oversize Chevy Distributor Gear, Bronze, +0.006"
Oversize Chevy Distributor Gear, Bronze, +0.006"
MSD's bronze oversized gears help obtain perfect timing by meshing to the camshaft gear properly. Absolute timing accuracy cannot be achieved until every me­chanical detail is handled. MSD Bronze Distributor gears are machined from quality AMPCO 45 aluminum bronze containing 5% nickel. This special combination creates high-strength gear teeth that are less prone to wear even with high-volumn oil pumps.